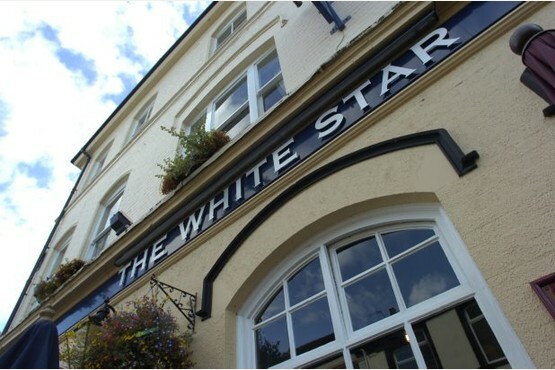 A major refurbishment and an exciting new beer list are on the menu at the popular White Star pub in Stoke town centre. Titanic Brewery has invested £25,000 in a programme of works at the White Star which reopened on September 24, 2015, following a three day refit. The investment is a demonstration of support for the town of Stoke which is showing signs of recovery following a downturn in recent years. Titanic Brewery bought the previously disused pub in 1998 and built it into a popular town centre pub. “We believe there is an exciting future for both the White Star and a resurgent Stoke town centre,” said Titanic Retail Director, Alan Hurt. “We have a new landlady, Lawren Williams (correct spelling), who has won a well deserved promotion from assistant manager, a new menu and exciting additions to the bar. “The White Star has 10 cask ales, which feature both beer from Titanic Brewery and a great range of beers from Britain’s best independent brewers, along with a range of World Lagers and three fonts dedicated to an ever changing selection of craft beers. Added Alan: “Following eight good years for the White Star, we felt the time was right for a major refit. Stoke is beginning to rebuild its retail offer, we are looking forward to plans for the regeneration Spode site, there are exciting developments with Staffordshire University moving staff and students from Stafford to Stoke, and the city council has decided to retain offices in the town. “We have boosted our menu to attract lunchtime and evening diners and have made general improvements, literally from the floorboards up. “The new decor will retain the traditional look of the White Star while giving everything a major overhaul from the paintwork to the toilets. Titanic Brewery has invested millions of pounds in breathing life into pubs in Staffordshire, Cheshire and Derbyshire. Eight closed pubs have been opened since 2007 by Burslem based Titanic. The brewery ethos remains to brew great beer and to run pubs that bring communities together, reminding everyone the pub is the original, and the best, social network! For further information about Titanic Brewery and its award winning beers visit the company’s website at www.titanicbrewery.co.uk Titanic Brewery was founded in Burslem in 1985 and has grown to produce around three million pints of fine ale every year. It is owned by Stafford born brothers Keith and Dave Bott. Keith is a past Chairman of SIBA, the society of independent brewers, and a Director of Casque Mark, see http://cask-marque.co.uk/.